FAQ | Templates Design Co.
A LIST OF QUESTIONS AND ANSWERS RELATING TO OUR PRODUCTS, ESPECIALLY BASICS QUESTIONS FOR LESS ADVANCED USERS. FOR OTHER QUESTIONS, CONTACT US; WE ARE HERE TO HELP YOU WITH ANYTHING YOU NEED. Can I add 1 more page with the same format to my resume template? Yes, you can. Simply copy all elements of your curriculum (Ctrl + E in Windows/Cmd + A in Mac). Add a blank page (Insert>Blank page) and with the cursor at the top of the page, paste all elements (Ctrl + V/Cmd + V). In a word-processing document: Place the insertion pointanywhere in the page you want the new page to follow, then click in the toolbar. In a page layout document: Click in the page you want the new page to follow, then click in the toolbar. A blank page is automatically added, or if there are other master pagesfor the template, choose the one you want to add. > Contact us if you have any question about this on contact section. Can I cancel my digital download order after I’ve paid? You will be able to cancel your order within 24 hours but please make sure not to download any files. Keep in mind that once the files are downloaded we receive a notification and you are no longer eligible for a refund. You can add 1 more page with the same format to my resume template. Simply copy all elements of your curriculum (Ctrl + E in Windows/Cmd + A in Mac). Add a blank page (Insert>Blank page) and with the cursor at the top of the page, paste all elements (Ctrl + V/Cmd + V). Can I replace social media icons or any other image? Sure. Several icons are included with the purchase, so ofthers can also replaces these icons and any image. Drag an image from your computer or a webpage to a media placeholderor anywhere else on the page. Click in the bottom-right corner of a media placeholder, then select an image from a photo library. Click in the toolbar, choose Photos, then drag an image from a photo library to the page or to a media placeholder.To search for an image, click the magnifying glass in the upper-right corner of the media window. Select the image you want to replace, then in the Format sidebar, click the Image tab. Click Replace, then choose an image. The new image retains the dimensions of the original. If you can’t replace an image on a page, the image may be locked or grouped, or it may be a master object. You can find more icons in Iconfinder or Flaticons. Because of the nature of digital downloads, and immediate access to the creative property, once the buyer receives the files, returns or exchanges will NOT be given for instant download products. Anyway, If you’re having issues with your template, we will be happy to help you as soon as possible. Please feel free to send us a message. We will be happy to help you! Sometimes, you may not be able to directly click on a singular item but are forced to select multiple items at once. This means that the items are in a ‘Group’. To Ungroup a cluster of items, right click on the group, navigate to the ‘Group’ heading and click ‘Ungroup’. To create a group; select multiple items while holding down ‘Shift’ right click, navigate to the ‘Group’ heading and click ‘Group’. If you use Windows, you can read PDF files downloading Adobe Reader DC https://get.adobe.com/es/reader/, but if you use Mac, you can use the Preview app (included). How do I change colour? Geometric: Right click on the shape you want to recolor > ‘Format Shape (or)Object’. A new window will show up. Click ‘Fill’ or ‘Line’, and have fun selecting new colors. Non-geometric: Right click on the graphic you want to recolor > ‘Format Picture’. A new window will show up. Click ‘Adjust Picture’, and have fun playing with all the recoloring options. How do I merge multiple PDF documents? To merge multiple PDF’s together (eg: cover letter + resume) so they create one document, start by opening one of the PDF files in Adobe Acrobat. Click on the ‘Page Thumbnail’ icon to the left of your screen and then the ‘Insert Pages’ icon. You can rearrange them by dragging each page to its desired place. How do I send my document out online? It is essential you save your document as a PDF before sending to anyone online to abide by these copyright laws as well as maintaining the aesthetics of the template. How do you decrypt a zip file? How do you print without borders or margins? Borderless printing depends a lot on the type of printer you use. We recommend you take your file to a digital printing company because they will have printers that print these type of files without margins. If you have a printer that supports borderless printing, you can print any file without margins. This feature can be very useful, especially if the file you want to print contains content that goes all the way to the page edges. However, even if your printer supports borderless printing, the default setting for files is to shrink the content to fit standard page margins (usually an inch on each side). To print your file without these margins, go to the print settings. Double-click on the PDF document to open it with the default program, usually Adobe Reader or Adobe Acrobat Pro. Open the “File” menu and click “Print” to open the Print dialog box. Change any additional settings, such as the number of copies and which pages of the PDF you want to print. 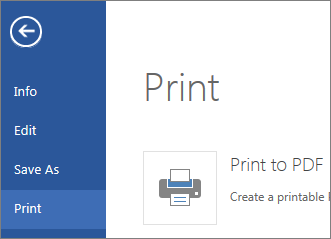 When ready, click the “Print” button to print your PDF document without margins. For others formats, .pages or .docx, the procedure is similar. Important: all templates, in all formats and in all platforms are already configured without borders, but if you have problems of configuration problems visit the previous video or contact me to solve them. First of all, download and install the necessary fonts. We recommend you read our user guide and 0 – Readme-first. Before editing the template, we recommend you also take a look at our instructions guide for resume templates. Now you can start editing the template. Open the template of your choice using Ms Word (2007 or later) or Pages for Mac and drop in your own details, save your template as a PDF, email/upload or print it with any printer. That easy! 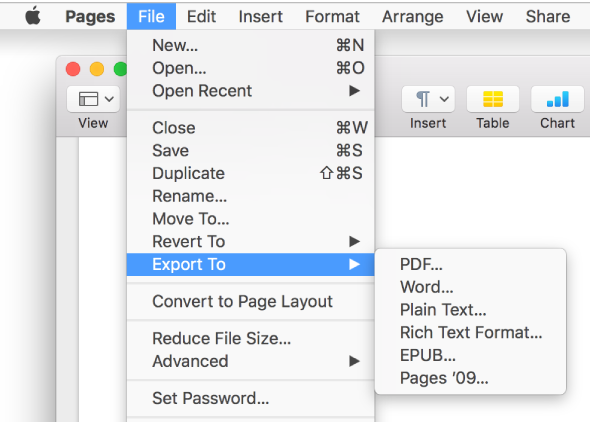 To save a copy of a Pages document as a PDF, open the document, then choose File > Export To > PDF [file format] (from the File menu at the top of your screen). 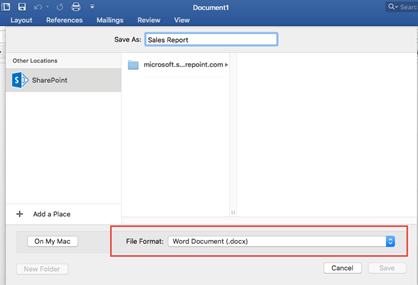 You can use Word Online to convert your doc into a Portable Document Format by using the Print command. This will generate a basic PDF that preserves the layout and format of your original document (this is much important). If you need more control over the options for your Portable Document Format, such as adding bookmarks, use the Word desktop app to convert your doc to a PDF. 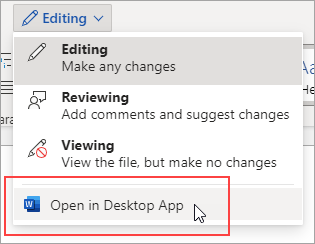 Click Open in Word to start using the desktop app. Line: Select the vertical line, and using the arrow keys from your keyboard move it more to the right or left. Alternatively hold down ‘Shift’ + ‘Command’ and move to the left or right with your mouse. Dots: To increase/decrease skill level on the dotted graph, simply fill or unfill each circle by; selecting the shape (hold down shift if you wish to select more than one at a time), click on the ‘Shape Format’ tab, navigate to the ‘Shape Fill’ drop down and select colour or ‘No fill’. Microsoft Word (2007 or later) for PC (You can download a free trial of the latest versión of Microsoft Word here: http://products.office.com/en-us/try), Microsoft Word (2007 or later) for Mac or Pages for Mac. Where are my fonts hiding? If you are a Mac user certain installed fonts may not show in your font list. To fix the problem try closing Word and re-opening OR visit the website http://www.files-conversion.com/font-converter. php and convert your .TTF files into .DFONT files. Next, install the .DFONT files, close and re-open Word. Why do my files print with a white border on my printer? Most home printers are not able to print right to the edge of the page. The space around the edge is required by the printer to grip and control paper flow through the machine. If you own an A3 printer, you can simply print your A4 document on that and trim down, but is not the best solution. If not, most professional print shops can print to the edge of the page and will be able to get the job done for a minimal cost. Why doesn’t my template look the same as the example? Fonts installed: You’ll need to install all the required fonts (please check 0-Readme-first.txt and Fontsandicons.zip) into your computer in order for the templates to display properly. or Windows, and on Apple Pages for Mac. Please do not use different softwares such as OpenOffice, Indesign, Word Online, Google Docs, etc, to edit your files. Why the fonts look different than those pictures? A list of all the necessary fonts, plus links to download is provided with this purchase. We explain the steps to follow in order to install the typographies in Mac and Windows in the PDF user guide. Before editing the downloaded template, it is imperative that you install the attached typographies in this ZIP file. Download and install the typographies. Once the typographies are installed, then open the templates, and the fonts will appear just like the fonts on the listing pictures.